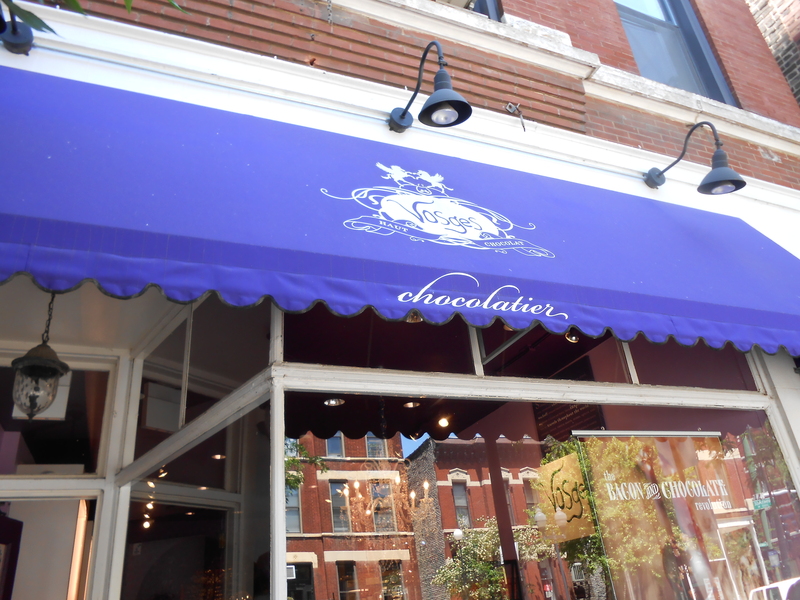 Vosges Haut-Chocolat can be found in several places outside of Chicago. But I greatly enjoyed the little shop a friend and I stumbled upon and decided to check out. 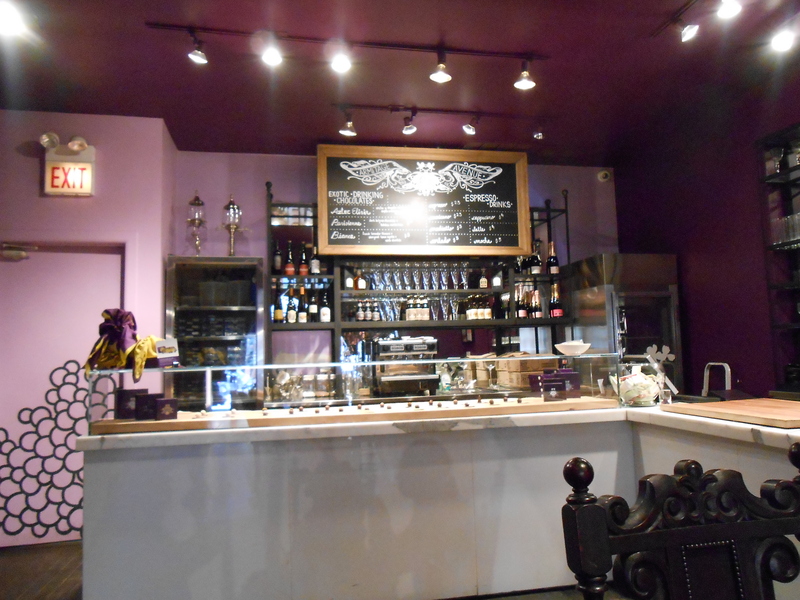 We went to the chocolate shop at 951 West Armitage. This Vosges Haut-Chocolat is right outside the Armitage brown/purple line. Vosgest Haut-Chocolat makes chocolate inspired by cultures and ingredients from around the world. They make interesting and unique chocolates and truffles by mixing things like curry or wasabi with chocolate. They also have sugar-free chocolate, gluten-free chocolate, organic and vegan chocolates available. The boutique itself was really interesting. 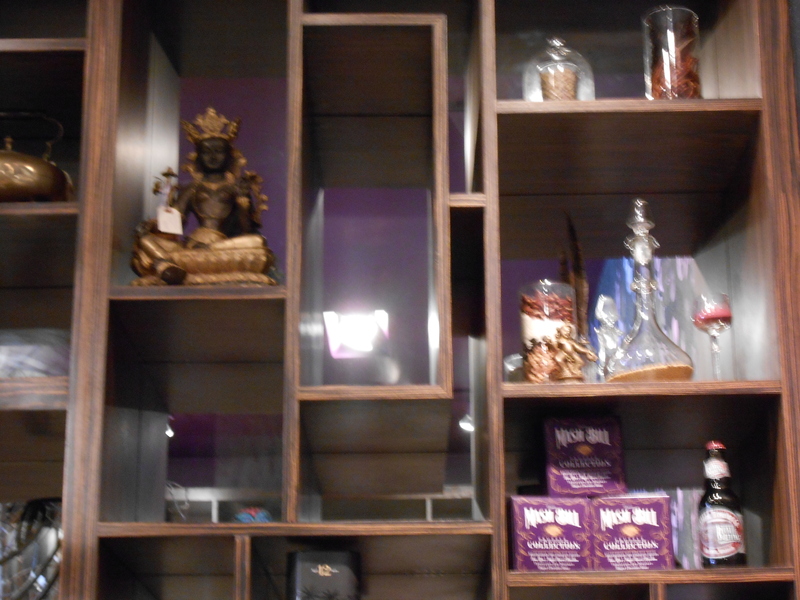 The doors opened into a modern looking purple and white shop with stacks of chocolate sets. 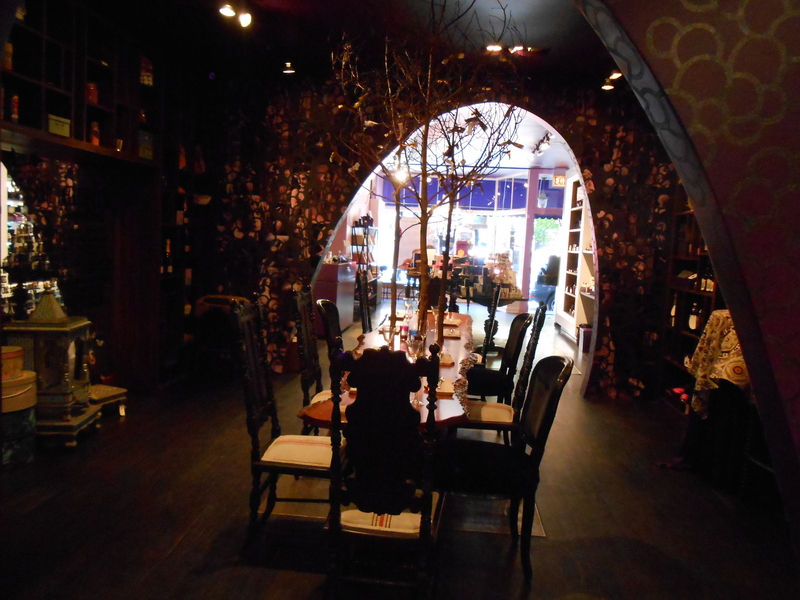 Then there was a somewhat darker sections with a long wooden table with mismatched chairs and shelves along the wall with different items from around the world. 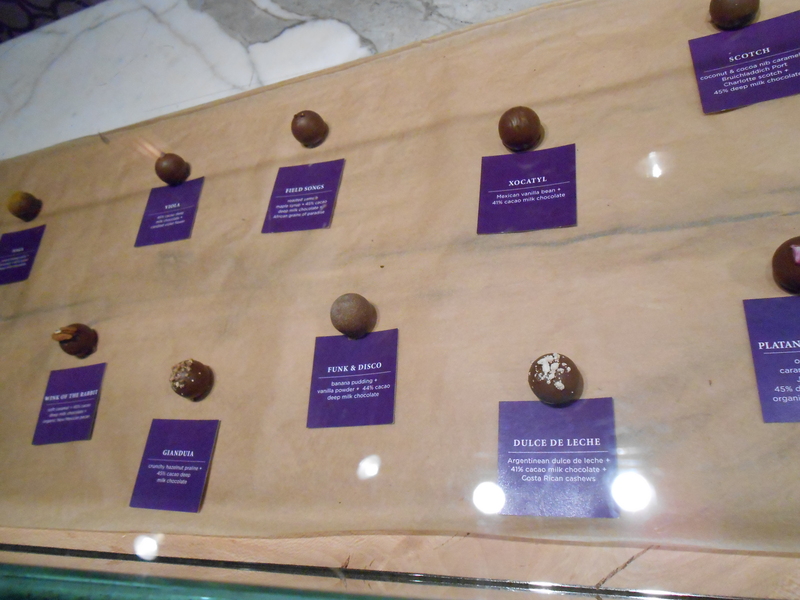 In the back was a glass case where you could look at different truffles, what the ingredients were and pick what you wanted to try. Or possibly get a drink. My friend and I had fun looking at all the different truffles and the different ingredients within each one. We ended up ordering two flower ones. We were asked if we wanted to eat them there or to take them to go. We decided to eat them there. 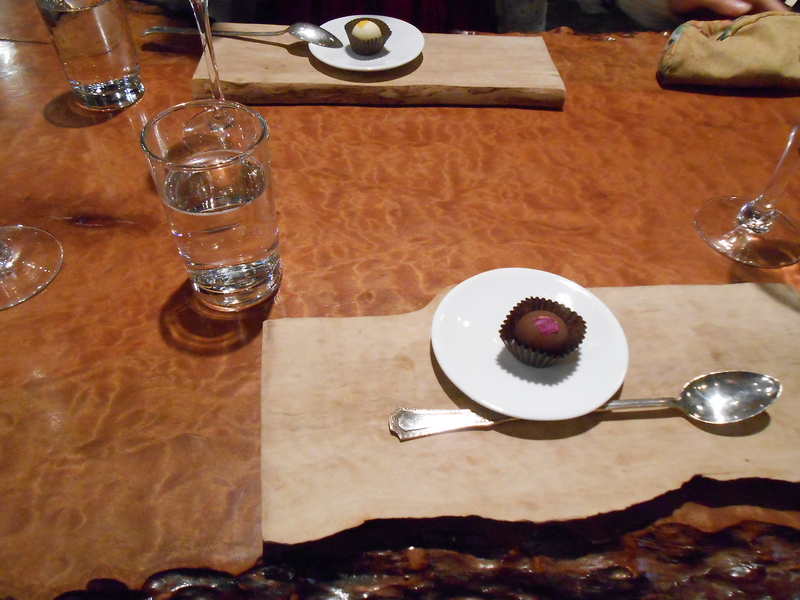 The truffles were places on plates and sat down on the wooden table and we were given spoons and glasses of water. It was definably a fun experience to be the only ones in the shop at a long table eating truffles.